Opening later this week is an exhibition fraught with forgeries. That’s by design. It’s the collection of William Voelkle, the curator emeritus of Medieval and Renaissance manuscripts at the Morgan Library and Museum, who recently retired after fifty years with the august institution. (He also wrote a fabulous article for us last year on bejeweled bindings). 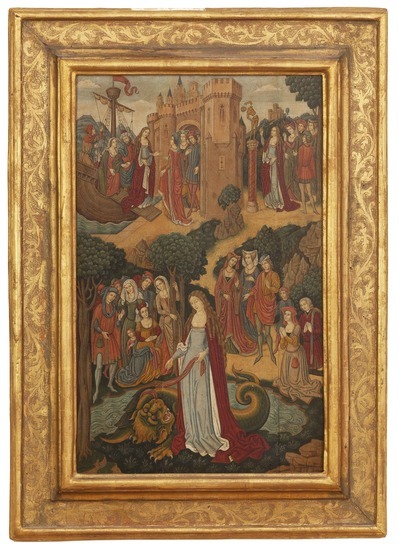 For five decades, Voelkle has sought fake illuminated manuscript leaves and miniatures, particularly the work of the Spanish Forger, on whom he published a book in 1978. “St. Martha Taming the Tarasque,” one of the largest panel paintings by the Spanish Forger, was made to evoke the Renaissance but was really made in the early twentieth century and was acquired by Voelkle in 1974. 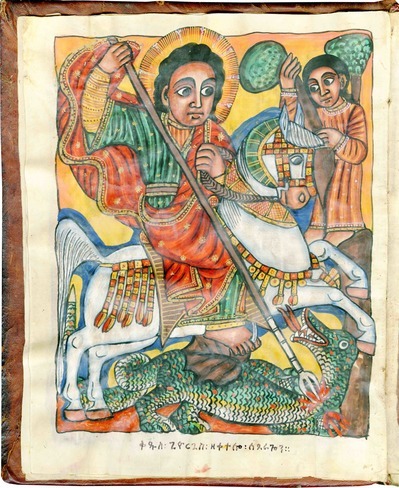 A bogus illustration in a late seventeenth or early eighteenth-century Ethiopian codex, supplied by the Synkessar Miniature Forger. “Christ in Majesty,” once believed to be a twelfth-century production, is actually a clever nineteenth-century forgery. It was withdrawn from a Christie’s auction in 1987. Read more in this Q & A between Voelkle and Hindman published by Art & Object. The exhibit runs through February 2. Several special lectures are also planned; check here for details. Opening later this week is an exhibition fraught with forgeries. That's by design. It's the collection of William Voelkle, the curator emeritus of Medieval and Renaissance manuscripts at the Morgan Library and Museum, who recently retired after fifty years with the august institution. (He also wrote a fabulous article for us last year on bejeweled bindings). For five decades, Voelkle has sought fake illuminated manuscript leaves and miniatures, particularly the work of the Spanish Forger, on whom he published a book in 1978. The exhibition, titled Holy Hoaxes: A Beautiful Deception Celebrating William Voelkle's Collecting, will premiere in New York on Thursday at Les Enluminures, a gallery that specializes in manuscripts founded by Sandra Hindman. "It's with much pleasure that we mount this exhibition to celebrate William Voelkle's collection," said Hindman. "I myself have long worked on fakes, forgeries, and copyists of medieval manuscripts, and this occasion helps me acknowledge my debt to Bill's groundbreaking work." "St. Martha Taming the Tarasque," one of the largest panel paintings by the Spanish Forger, was made to evoke the Renaissance but was really made in the early twentieth century and was acquired by Voelkle in 1974. 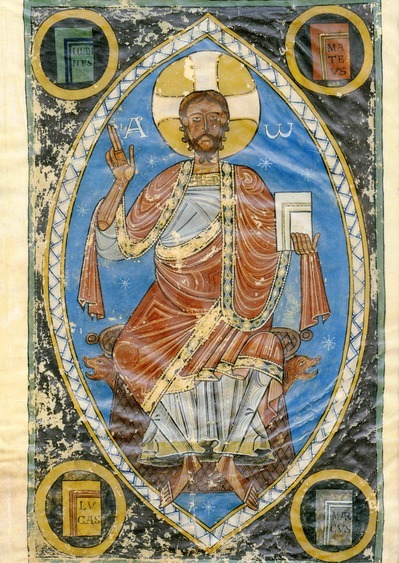 "Christ in Majesty," once believed to be a twelfth-century production, is actually a clever nineteenth-century forgery. It was withdrawn from a Christie's auction in 1987.